A partnership with Manchester City will allow QNET to cement its brand on a global stage and catapult it to become a household name. QNET’s goal is to link the excitement of football and the passion of the fans to the thrill of direct selling and the drive of QNET’s Distributors. 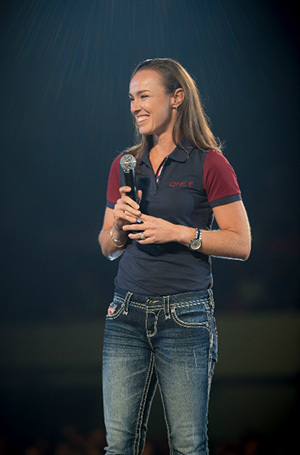 The amazing tennis star, Martina Hingis, was QNET's inspirational new face from 2015 to mid 2016. Martina is ranked world No. 1 in doubles by the Women’s Tennis Association (WTA), with a total of 209 weeks as the singles world No. 1 and has won five Grand Slam singles titles (three at the Australian Open, one at Wimbledon, and one at the US Open), twelve Grand Slam women's doubles titles, winning a calendar-year doubles Grand Slam in 1998, and four Grand Slam mixed doubles titles; for a combined total of twenty-one major titles. In addition, she has won the season-ending WTA Championships two times in singles and three times in doubles. “It’s a great honour to be associated with a global brand like QNET whose presence in more than 100 countries speaks volumes of its strength and popularity. I am very excited to be a partner in this journey." said Martina Hingis, the first Global Ambassador for the International Tennis Hall of Fame. Martina personified QNET’s sports marketing efforts - linking hard work and determination with network marketing. We strongly believe that the drive, passion, teamwork and individual skills of sports mirrors that of QNET's way of doing business and is vital to the progression of people and organisations.